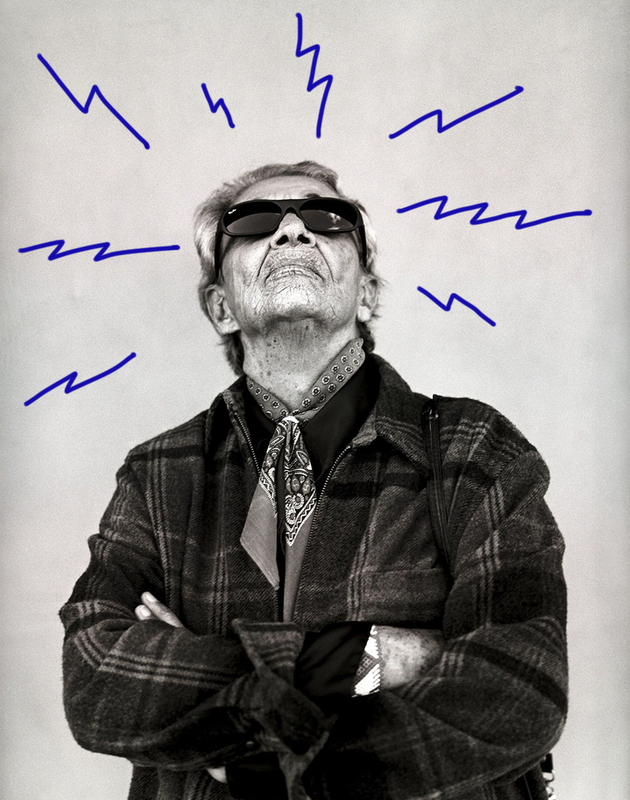 Gund and Daresha Kyi’s 2017 documentary, Chavela, draws out Vargas’s life—one that, despite immense pain, longing, and suffering, was always lived with a fight and a song in her heart. Recounting her childhood, Vargas speaks of times when her boyishness was such an embarrassment to her mother that she would hide her from guests. Once, when she was 7, she entered a church and the priest had her thrown out. “Every artery and vein in my body started to fill with a rage that was so strong, that I swear I could’ve ripped down the walls of that house with my bare hands,” she says in the film. She raged on until she came to Mexico in the 1930s to launch a singing career, and then raged some more. Ranchera music is an offshoot of the traditional Mexican mariachi, deriving its name from the rural ranchlands from where it originates. Given the lyrical focus on nationalism and love, the form was largely regarded as an “masculine” art form, though women eventually participated. Male ranchera singers sported sombreros, mustaches, and formal jackets; women rancheras wore frilly dresses and twisted their hair into flower-adorned braids. Vargas, meanwhile, wore pants, and wore them publicly before any other Mexican woman dared to. “I tried dressing up like a woman—with long hair, makeup, and high heels. But it didn’t work. Dressed like a woman, I looked like a transvestite,” she notes in the documentary as the screen fills up with her old black-and-white headshots. In them, a thick cloud of hair frames her face, her eyebrows are shaped, and her lashes are coated with mascara. She is wearing lipstick and her mouth is half open, as though the camera has caught her mid-song. Vargas’s rebellion was not just about what she wore and the company she kept—like artists Frida Kahlo and Diego Rivera—but also about what she chose to sing. Most ranchera songs of love, pain, and longing were sung by men; they cried over a female lover leaving them, burning in solitude but wishing her well. In an overt display of machismo, they sang these songs while downing shot after shot of tequila—a style embodied by the famous José Alfredo Jiménez, Chavela’s mentor and friend. In what is retrospectively the first act of queering the ranchera stage, Vargas began singing such songs without changing their gender pronouns, professing love to the female subject in a guttural voice as deep as the sea. Vargas’s rebellion was also that of a working woman in an industry whose shady record deals denied her her rightful earnings; further, it was also the rebellion of an immigrant who dug deep into the soil of a new land and stretched her roots. She sang like a man, swaggered like a man, and drank like a man—and was a star the moment she stepped on stage with a guitar. The audience cheered as she crooned, “Ponme la mano aquí, Macorina/ ponme la mano aquí.” (“Touch me here, Macorina/ touch me.”) For Vargas, the stage was a carnival: Everything was allowed, no one called her a “dyke,” and she could be anything she wanted to be. There were none of the expectations that the misogynist world offstage demanded of her. 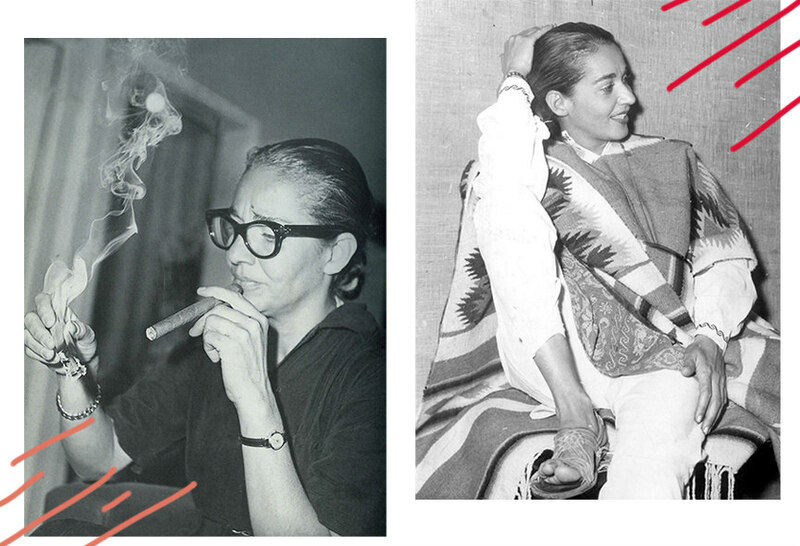 When she teamed up with the very popular Jiménez, Chavela started touring widely, spending days in bars as they drank and performed and drank some more. In what became a decades-long struggle with alcoholism, Vargas would take the stage drunk and eventually fall down singing. Vargas refused to “girl up,” and in a world that had no respectful place for a lesbian—even one whose performances were worshipped—she could only succeed by performing masculinity, and she aimed to do it better than any man could. Since the late 20th century, LGBTQ activism has considered the act of coming out to be a critical determinant of queer identity, but Vargas’s life followed a trajectory that existed beyond the binary of “in” or “out.” “Lesbian” was a ridiculing dirty word, and she turned away from it even as she queered the stage, bending every rule there was to bend. Without ever being in the closet, she was out: in her machismo, with her strings of affairs with famous women, in her loose shirts and short hair. For queer women growing up in Mexico through the 1960s, ’70s, and ’80s without a role model, the cross-dressing, full-throated Vargas was a trailblazer coding her identity. Despite the sexist and ageist regulations of the stage that dictate what an older woman’s body should look like and do, Vargas staged a comeback at 72 following a long hiatus during which she overcame alcoholism and extreme poverty. In a journey that started in the streets and small cabaret bars of Mexico, Vargas toured the biggest concert venues in Spain, France, and the United States, playing to packed houses at an age when most female performers are forced to retire. 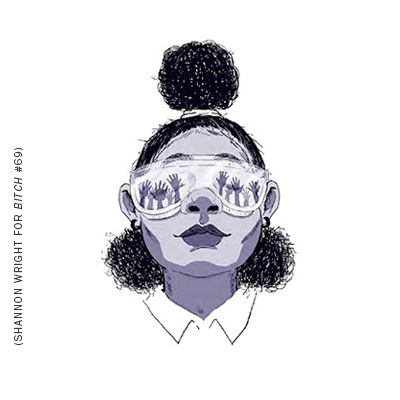 Her rebellion was not just that of a queer woman, but that of an older queer woman of color—of an aging body kicking and punching against addiction, gender norms, and societal expectations. With an uncompromising will to continue fighting for every value she stood for, Vargas teaches us activism; by living the life of a proud, unabashed diva, she teaches us to live. Bedatri Datta Choudhury studied literature and cinema in New Delhi and New York, and loves writing on gender, popular culture, films, and most other things. She lives in New York, where she binge watches reruns of old TV shows and makes notes about strangers she meets on the subway. You can follow her on Twitter @Bedatri.